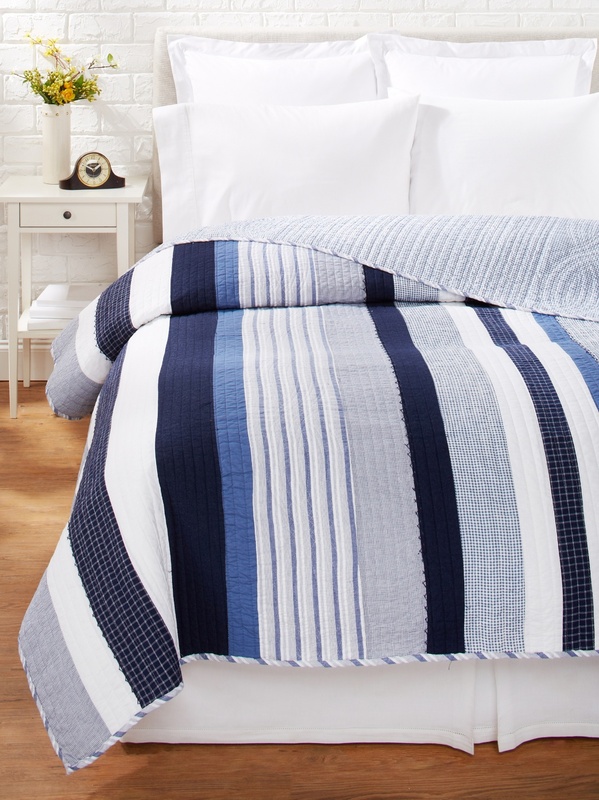 As comforting as a cool ocean breeze, this quilt ensemble will invoke the calming tranquility of being at the shore all year long. The shipshape ensemble has a crisp, coastal feel in shades of sea-and-sky blue. Oversized quilt is a soft, cozy patchwork of woven stripes, gingham and cool seersucker. Decorative pillows feature nautical appliqu�s. Twin 66 x 6 in. Full/Queen 90 x 92 in. King 108 x 92 in.